Shire Hall Historic Courthouse Museum in Dorchester has opened its doors following an extensive restoration project with £1.5 million of the costs funded by the National Lottery. The Courthouse, a Grade 1 listed building on High West Street, brings more than 200 years of justice and injustice to life. It has a rich heritage and was where the Tolpuddle Martyrs were sentenced to deportation to Australia in the mid-19th Century – an event which led to a huge public outcry and a petition to Parliament about the injustice of it. This remains the fourth largest petition ever submitted to Parliament. It was also where the infamous Judge Jefferies presided, sentencing numerous defendants to death for petty crimes, at a time when defendants weren’t allowed to speak in their own defence. Now fully restored, the Courthouse also tells the story of the Tolpuddle Martyrs and Martha Brown, who inspired Thomas Hardy’s Tess of the D’Urbervilles, among others. Visitors will be able to walk in the footsteps of people whose lives were forever changed in the historic court at Shire Hall. 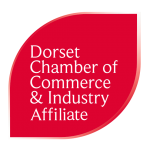 The project is a key part of the redevelopment of Dorchester, along with Dorset County Museum’s extension plans, improvements to High West Street and the reopening of the historic Kings Arms Hotel.